Leading Manufacturer of gravity slicer from New Delhi. Ext Dimensions 580 x 405 x H340 mm. We bring forth for our patrons an extensive gamut of the best quality Gravity Slicer. 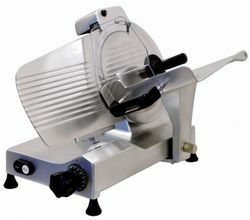 The offered slicer is manufactured from optimum quality components and upgraded technology at vendors’ end.